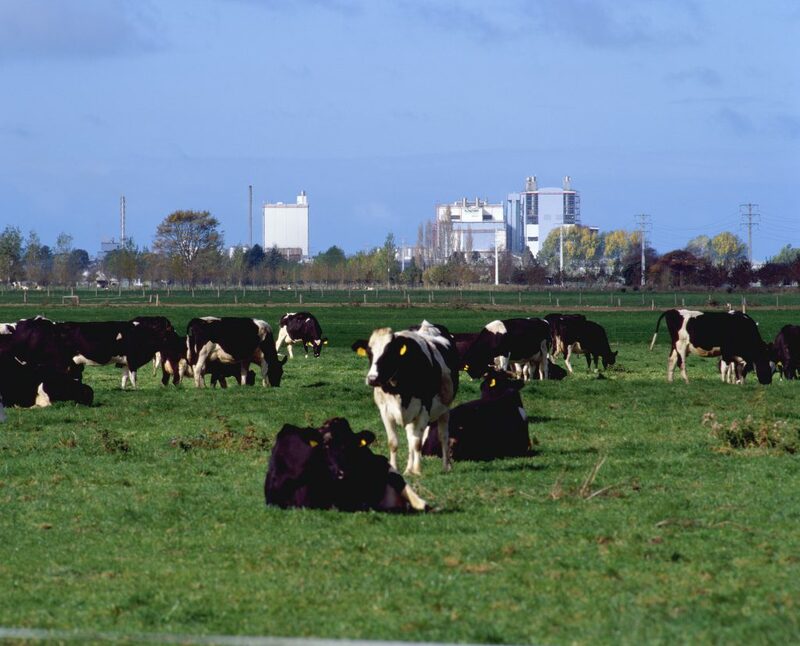 Home » Agri-Business » Comment: Time to review Fonterra’s sacred cow? 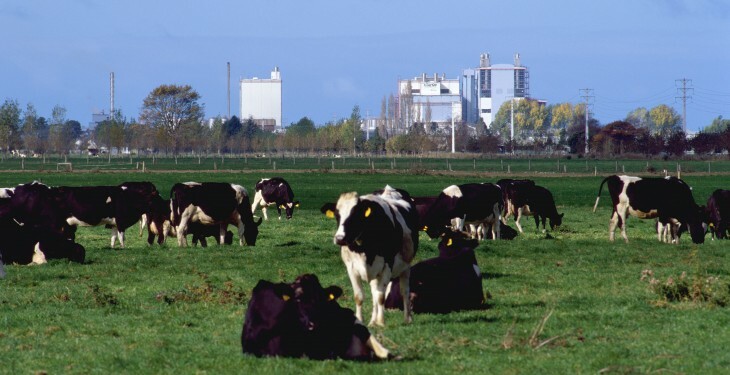 Comment: Time to review Fonterra’s sacred cow? There’s a cow – not an elephant – in the room where New Zealand’s trade performance is discussed. The cow has a pretty name…Fonterra…and it is staying as quiet and still as can be, in the hope of not being noticed. This cow is, of course, the huge near-monopoly farmer-owned co-operative which processes and exports around 90 per cent of the fluid milk produced on New Zealand farms. It was created at the turn of the century by government legislation enabling the merger of the old Dairy Board and the two largest regional farmer co-ops. The idea was to create a ‘national champion’ strong enough to carry its weight in world markets, without the infighting and alleged undercutting of the old regime. So what has the cow got to stay quiet about? On the face of it, there are signs of underwhelming performance. Forget the original grandiose forecasts of eventually matching up to the great Swiss-based multinational dairy and food products company Nestlé, whose 2013 sales were around $120billion, compared with Fonterra’s $18.6billion. The worry is that the latter number, in constant 2013 dollars, is only just above the revenues reported in Fonterra’s first Annual Report in 2002 ($18.1billion), even though the amount of milk processed has increased by a third (from 1.1billion kgms (kilograms of milk solids) to 1.46billion kgms last year). It is a worry that products such as cheese, which should be earning a premium like our wine, actually fetch a lower price per kg at export than the more basic ‘commodities’ such as whole milk powder. And this despite Fonterra’s vast and ever-growing superstructure of highly paid executives: the number of employees paid more than the equivalent in 2013 prices of $200,000 a year increased by more than 30%…from around 550 in 2002 to 722 in 2013. These are hardly inspiring numbers, but they certainly are not conclusive on their own. We need to know the counterfactual; perhaps things would have been worse without Fonterra; perhaps the performance is actually quite commendable given, for example, changes in NZ/US exchange rates over the past decade or so. After all, New Zealand’s second largest international company, the much-praised Air New Zealand, actually saw a slight decline in its total revenues over the same period: from $4.7billion in 2002 to $4.6billion last year, again in 2013 prices. Maybe Air New Zealand’s competitive environment is tougher than Fonterra’s; maybe it isn’t. We need to find out these things. What we do know, as would likely be accepted by even the most loyal Air NZ supporters, is that the presence in nearly all their markets of actual or potential competition has been key to stimulating the process of continual improvement and innovations in service and productivity. Fonterra, of course, faces competition in most of the markets it sells into. But its performance in those markets is not effectively sanctioned by the need to persuade upstream suppliers – the dairy farmers – to give it their milk to process. Indeed, farmer-owned Fonterra is a very unusual beast from a business perspective. Like a standard vertically integrated company, it has secure supplies of raw materials. But it doesn’t enjoy the usual power to control the quantities of material supplied. This makes the operation vulnerable to the traditional ‘farm problem’: a bumper harvest is bad news for farmers because increases in supply require larger decreases in price to clear the market, then total revenues fall. Some of the current decline in our dairy product prices has been attributed to the difficulties of marketing ever-larger quantities of milk from our expanding dairy sector. Given that the expansion has in effect been subsidised by our lax environmental and animal welfare standards, there are obvious causes for concern. Surely, a decade down the track, it is time for a full independent review of Fonterra and our dairy industry, with all alternatives canvassed. Tim Hazledine is Professor of Economics in the University of Auckland Business School. This piece was first published in the New Zealand Herald.